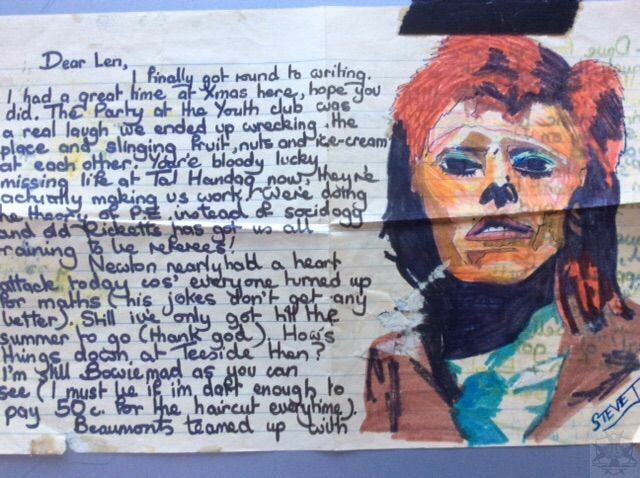 This is a letter from a great like minded friend; Steve Jones to me while I was suffering the misery of North East England in 1974. He was a great artist; he painted drew and sculptured and I wrote Ginsberg like poetry; a great team! I guess he was right when he wrote on the side of page one: Don't get me wrong we're only dancing! Perhaps it should now read: we were only dancing! Page 2 to follow!